Local remodeling companies need to rise to the standards set by StoneWood Design. This company offers premier designs and contracting services that are famous throughout California. This company has been in business for over 20 years. In this time they have won awards for their work and left every customer completely satisfied. This company is one of the only ones that has consistently amazing reviews left from former clients. The customer service and talent of the team at this company make it the best. The kitchen is one of the most used rooms in your home. Bradley Builders is a professional and reliable company that will work with you to also make the kitchen a room you love to spend time in. First, they will discuss with you how they can help to make your dream kitchen a reality. They will provide you with an estimate and if you are happy then they will get to work immediately. They will use the highest quality materials while also looking to find cheap prices. 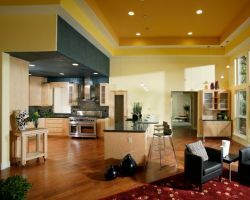 Norris Construction, Inc. offers kitchen remodeling in Sacramento, CA that is comprehensive. As the work that needs to be done for any kitchen remodeling project is so varied, you need to hire a team that is specialized in handling each aspect without hiring a third party. 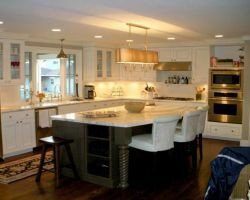 Norris has all of the experience and expertise needed to complete a kitchen renovation from beginning to end. With customer satisfaction as the focus of their business, these experts will work to ensure you love your new kitchen. David Lanni Construction is a company that specializes in home design and remodeling. 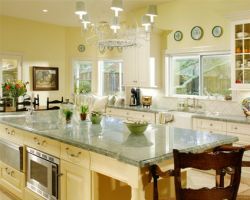 This is a perfect combination when you need a Sacramento kitchen remodeler. From making small changes outside to gutting the entire kitchen inside, you will be working with a professional team that is highly experienced. The owner of this company is not just a businessman but is the main contractor. He works closely with clients and his team to ensure the high quality standards of craftsmanship he has set are upheld. Though Ward and Son Construction was only established in 2000, the team that works for the company has 18 years of experience in the construction business and 25 years of experience working with cabinetry. 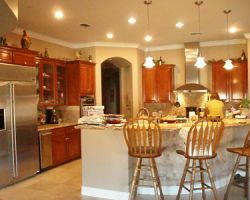 This combination is an asset to anyone seeking a professional and affordable kitchen remodeling contractor. The technicians at this company will work with you from beginning to end. This includes the design and planning as well as the execution of the work and adding the final touches.